Deborah is a qualified Nursery Nurse, Mentor and Adult Learning Tutor. She specialises in designing and delivering safeguarding children and vulnerable adults training. She has delivered training to the voluntary, statutory and private sectors in areas such as Core Groups and Conferences, Domestic Abuse and Safeguarding Children, Peer Mentoring, Professional Boundaries and Safer Recruitment, MCA/DOLS, Provider Manager Roles and Alert to Referral. Deborah is an accredited NCSL (National College for Teaching and Leadership)Trainer in Safer Recruitment. In her extensive working experience, Deborah has successfully filled a number of roles within Education, Social Care and Youth Offending, and more recently as a Training Co-ordinator. She is passionate about helping others to learn and believes training should be fun, even where there are serious messages to communicate. She consistently receives positive feedback for her stimulating and engaging training. 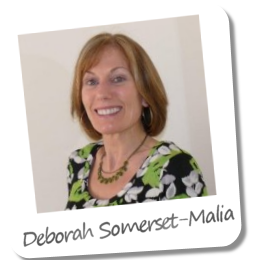 Deborah trains on a voluntary basis for two Local Safeguarding Boards and will begin studying for her MA in Advanced Child Protection in January 2014. When not spreading the safeguarding message, she enjoys running, military fit classes, cycling, reading and listening/dancing to loud music! !